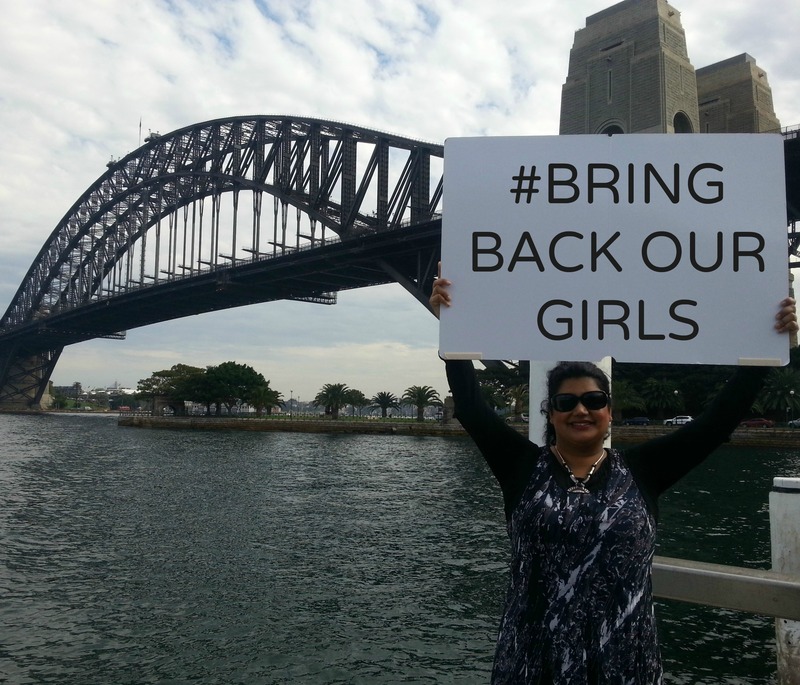 From Anguish to Action – Bring Back Our Girls! By Raechel Matthews, YWCA of Australia. Last Sunday in Australia and many other countries around the world, it was Mother’s Day. A day when children of every age reveres, rejoices and remember our mothers; families come together; and mums are made to feel special and spoilt. However, over 8600 miles away in Nigeria, for 282 mothers, this Sunday will not be a day of celebration and joy. It will mark 28 days – almost 1 month – since their teenage daughters were kidnapped by militant Islamic group; Boko Haram. 28 long, agonising days since any confirmed word of their wellbeing, whereabouts or future has been made. For these mothers, the anguish, the wait and the frustration must be unbearable. And the anger they must feel, well, that must be infinite. I sit typing this blog in Sydney and I am incensed, outraged and distressed, so I cannot imagine how those directly impacted must feel. I have been following this story since it broke and have been utterly disappointed by the underreporting of this act of terrorism and utterly perplexed as to why the Nigerian government, prominent world leaders and other organisations have been so slow to act. In the past two days First Lady Michelle Obama, actress Angelina Jolie, education advocate Malala Yousafzai and former UN Secretary General Kofi Annan have joined media efforts to rally support, and whilst this shows some promise, directives to find the girls have been few and unclear. Understandably dealing with Boko Haram and their aggressive tactics (there have been further kidnappings, killings and bomb attacks since April 14) requires care, but delays in deploying military assistance to find the girls, where every minute and hour counts, beggars belief. Belonging to a global movement that is World YWCA, where our primary purpose is the education and empowerment of women and girls, the actions of Boko Haram–whose name means ‘Western Education is forbidden’ – is incomprehensible. Boko Haram’s leader has threatened that the 282 girls will be sold for marriage, condemning them to a life of sexual servitude; never to see their families again, as a punishment for simply attending school in eagerness to learn. In contrast, I work daily with a team of compassionate professionals who are committed to keeping children in school; women and their families safe from harm; and providing education and skills to communities to become resilient and stay connected. I am part of an international group determined to break the cycle of intergenerational disadvantage and oppression and I know collectively, our efforts will help not only these schoolgirls, but other schoolgirls affected by gender discrimination and misplaced cultural and societal attitudes. So, I urge my YWCA sisters to tweet #BringBackOurGirls; Facebook news articles about this issue; sign the global (or your local) petition at change.org and keep following the story. Maybe we can’t help in person, but we can assist with our collective voice. Join these 282 mothers as we wait and hope for positive news, and let’s show our support as a movement.